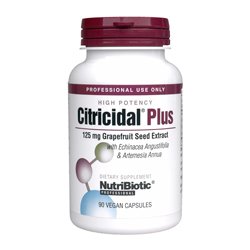 Professional products containing the original Grapefruit Seed Extract (GSE). Used for maintenance of good health, each capsule contains GSE, Artemisia annua (Wormwood) and Echinacea. 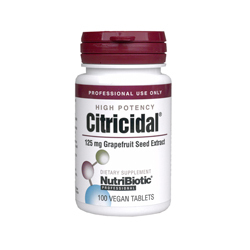 Each capsule contains: Medical Ingredients: Artemisia Annua (Artemisia annua, herb top) - 200mg Echinacea (Echinacea angustifolia, root and rhizome) - 200mg Non-medical Ingredients: Grapefruit seed extract, magnesium stearate, hypromellose. Adults and adolescents 14 and over: take 3 capsules 2 times per day or as directed by a health care practitioner. Contains GSE in an easy to swallow tablet. Content (per tablet): RAE vitamin A - 435µg Zinc - 10mg Non-Medical Ingredients: Vegetable protein, hypromellose, stearine, cellulose, guar gum, citrus grandis (grapefruit) seed extract (125mg), pharmaceutical glaze. Adults: Take 1 tablet three times per day with food. Take a few hours before or after taking other medications. 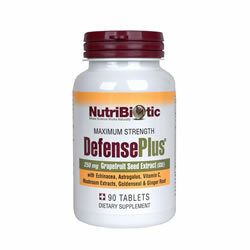 Uses GSE and immune-enhancing herbs and mushrooms to support the body's immune health. Each tablet contains: Medical Ingredients: Grapefruit Seed Extract - 250mg Meta-C (water processed buffered vitamin C) - 125mg, Echinacea angustafolia extract (4:1) - 50mg Astragalus - 100mg Reishi mushroom extract (4:1) - 100mg Maitake mushroom extract (4:1) - 50mg Shiitake mushroom extract (4:1) - 50mg Ginger root extract (6:1) - 50mg Goldenseal extract (6:1) - 50mg Yarrow extract (6:1) - 50mg Zinc (gluconate) - 5mg Non-medical Ingredients: Microcrystalline cellulose (binder), magnesium stearate (vegetable lubricant) and natural food glaze coating. Contains no soy, milk, egg, yeast, corn, wheat, sweeteners or preservatives. Vegetarian. At first signs of immune imbalance or depressed resistance, take 1 tablet 3 times per day for a minimum of 15 days. Not recommended for children under 12.